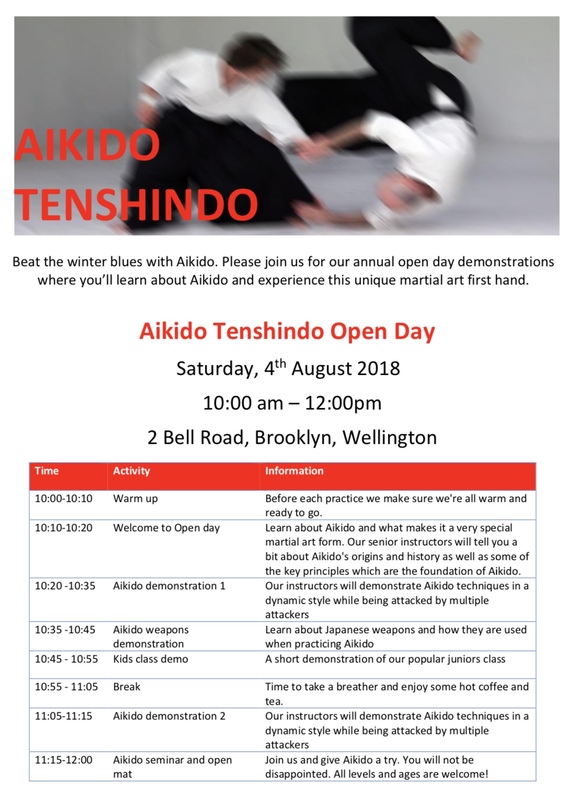 The 6-week course starts on 2 & 3 April and will introduce you to the first 3 Aikido techniques, some basic footwork, and a simple breakfall. When: Tuesday 6:30-8pm and Wednesday 6-7pm. Students may go to one or both evenings each week. Cost: $120 for the full six weeks. What to wear: Sweat/Yoga pants and a T-shirt or any comfortable, loose clothing. Please pay online to bank account 02-0500-0590959-00. To identify your payment please put your name in the Reference field and “Aikido-Intro” in the Code field. Official Dojo closure is from Monday 24 December 2018 to Sunday 6 January 2019. The majority of the instructors will be on break, however Richard and probably Thomas will be training through, so check with the individual instructor about training throughout the break. Last class for 2018 is on Thursday 13 December. The first class for 2019 is on Monday 14 January. If juniors pay for term 1 they can attend classes between 14 and 30 January for free. Reference: Always include your name and seminar details as a reference so the deposit can be tracked. Classes will continue through the holiday break 9 to 23 July at the usual times on Mondays and Thursdays 5pm – 5:50pm. If you pay for both term 2 and 3 you get to train through the holiday break for free.